We love our audio technology here at Forte, so for us, it comes as no surprise that many spend their life devoted to designing and building the ultimate equipment to help us relive our favourite music memories in their purest form. One of these devotees and simultaneous heroes includes Audio-Technica, worldwide group of companies creating high-performance microphones, headphones, wireless systems, mixers and electronic products for home, travel and professional use. 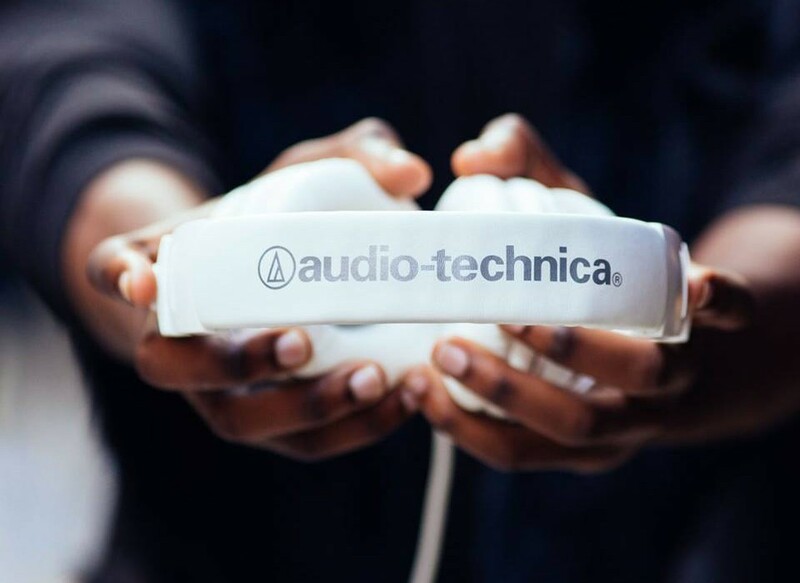 We sat down with the good people at Audio-Technica to get some recommendations of some high quality gear at a reasonable price for up and coming artist transitioning to a more professional sound. First up you’ll need a microphone. Here, you have a few options, depending on your highest needs and your budget. If you’re on a budget, or you’re a beginner just wanting to dip the toes in, the AT2020 ($149) is an entry-level mic that puts in a star performance. A ‘no frills’ mic, with basic standmount and a soft zip-up vinyl case, its low-mass diaphragm is custom-engineered for extended frequency response and superior transient response. With rugged construction for durable performance, the microphone offers a wide dynamic range and handles high SPLs with ease. Ultimately, it’s a great first choice for somebody setting up their first home recording studio. It naturally adds some spark and air to your signal path which is the ideal tool for producing quality demo’s on a budget. Available in Black (AT2020-BK) and White (AT2020-WH). If you’re ready to get serious about your music and you’ve got some cash to spend on some quality gear, the AT4033a is a versatile condenser mic that’s a real workhorse in the studio. At $599, the AT4033a offers low-noise, symmetrical, transformerless circuitry that results in exceptional transient response and clean output signals. A strong up-front presence characterises the sonic signature of this 40 Series pro-audio classic. The AT4033a’s 80Hz high-pass filter easily switches between flat frequency response and a low-end roll-off that diminishes ambient noise and popping with closely-miked vocals. This is a great option as a first microphone for the home studio seeking clarity and consistency, and if we’re being real, there are very few microphones that offer what the AT4033a does for under $1000, and this is quite a lot less than that! Score! Next up, you’ll need definitely need a set of headphones. With headphones available from $99 all the way up to $500, anything in the M-Series range is suitable for any budget. Our pick though is the M50x. Long heralded by online reviewers and top audio professionals, praised by top audio engineers and backed by a cult-like following of serious music fans, Audio-Technica’s ATH-M50x offers an unmatched combination of audio and build quality for exceptional performance both in the studio and beyond. Featuring the same coveted sonic signature as its predecessors in the M-Series, the ATH-M50x professional monitor headphones deliver accurate audio and outstanding comfort, perfect for long sessions in the studio. With the added feature of detachable cables, contoured earcups seal tight for excellent sound isolation, with minimal bleed. And the pro-grade materials are durable, yet comfortable, providing an unmatched experience for the most critical audio professionals. With exceptional clarity throughout an extended frequency range, with deep, accurate bass response, it’s not hard to see why online reviewers, top audio engineers, and cult followers agree that the M-Series is an unmatched combination of audio and build-quality that gets the job done. Hour after hour, year after year. These babies are a steal at $279 so check them at. For information on these products and the entire range go to audio-technica.com.au.